Frederick I, in coronation robes. Frederick I (German : Friedrich I.) (11 July 1657 – 25 February 1713), of the Hohenzollern dynasty, was (as Frederick III) Elector of Brandenburg (1688–1713) and Duke of Prussia in personal union (Brandenburg-Prussia). The latter function he upgraded to royalty, becoming the first King in Prussia (1701–1713). From 1707 he was in personal union the sovereign prince of the Principality of Neuchâtel (German : Fürstentum Neuenburg). He was also the paternal grandfather of Frederick the Great. 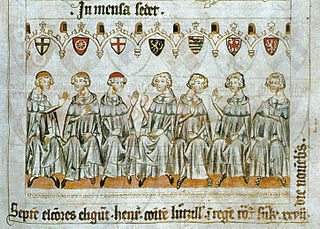 The Prince-electors of the Holy Roman Empire, or Electors for short, were the members of the lectoral college that elected the Holy Roman Emperor. Königsberg is the name for a former German city that is now Kaliningrad, Russia. Originally a Sambian or Old Prussian city, it later belonged to the State of the Teutonic Order, the Duchy of Prussia, the Kingdom of Prussia, the German Empire, the Weimar Republic and Nazi Germany until 1945. After being largely destroyed in World War II by Allied bombing and Soviet forces and annexed by the Soviet Union thereafter, the city was renamed Kaliningrad. Few traces of the former Königsberg remain today. Frederick William was Elector of Brandenburg and Duke of Prussia, thus ruler of Brandenburg-Prussia, from 1640 until his death in 1688. A member of the House of Hohenzollern, he is popularly known as "the Great Elector" because of his military and political achievements. Frederick William was a staunch pillar of the Calvinist faith, associated with the rising commercial class. He saw the importance of trade and promoted it vigorously. His shrewd domestic reforms gave Prussia a strong position in the post-Westphalian political order of north-central Europe, setting Prussia up for elevation from duchy to kingdom, achieved under his son and successor. Frederick Henry, or Frederik Hendrik in Dutch, was the sovereign Prince of Orange and stadtholder of Holland, Zeeland, Utrecht, Guelders, and Overijssel from 1625 to 1647. 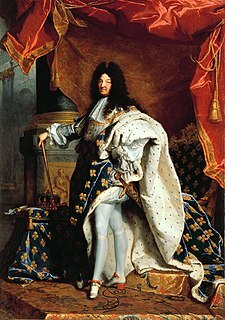 Louis XIV, known as Louis the Great or the Sun King, was a monarch of the House of Bourbon who reigned as King of France from 1643 until his death in 1715. Starting on 14 May 1643 when Louis was 4 years old, his reign of 72 years and 110 days is the longest recorded of any monarch of a sovereign country in European history. In the age of absolutism in Europe, Louis XIV's France was a leader in the growing centralisation of power. The Siege of Bonn took place in 1689 during the Nine Years' War when the forces of the Dutch Republic and the Elector of Brandenburg besieged and captured Bonn. It was part of the Rhineland campaign which Brandenburg was fighting as part of the Grand Alliance against Louis XIV of France. Following Louis' incursions into the Rhineland the previous year, a coalition of nations had formed to resist French hegemony. Brandenburg-Prussia is the historiographic denomination for the Early Modern realm of the Brandenburgian Hohenzollerns between 1618 and 1701. Based in the Electorate of Brandenburg, the main branch of the Hohenzollern intermarried with the branch ruling the Duchy of Prussia, and secured succession upon the latter's extinction in the male line in 1618. Another consequence of the intermarriage was the incorporation of the lower Rhenish principalities of Cleves, Mark and Ravensberg after the Treaty of Xanten in 1614. The Margraviate of Brandenburg was a major principality of the Holy Roman Empire from 1157 to 1806 that played a pivotal role in the history of Germany and Central Europe. In the Crown Treaty signed on 16 November 1700, Frederick III, Elector of Brandenburg and Duke of Prussia, had undertaken to provide a body of 8,000 men for the impending Spanish War of Succession for Emperor Leopold I. In return, the emperor promised that Frederick's future self-coronation as "King in Prussia" would be recognised across Europe and the Holy Roman Empire. 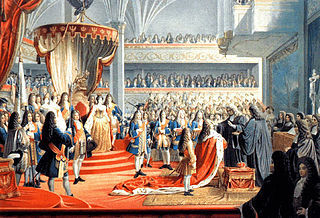 The coronation took place on 18 January 1701 in Königsberg ; from April 1701 the now entitled "Royal Prussian Contingent" deployed to the Lower Rhine at Wesel. In April 1702, it took part in hostilities for the first time at the Siege of Kaiserswerth. 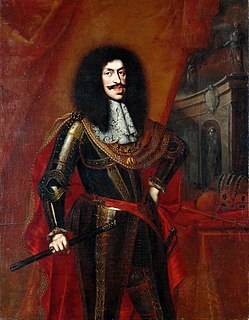 Leopold I was Holy Roman Emperor, King of Hungary, Croatia, and Bohemia. The second son of Ferdinand III, Holy Roman Emperor, by his first wife, Maria Anna of Spain, Leopold became heir apparent in 1654 by the death of his elder brother Ferdinand IV. Elected in 1658, Leopold ruled the Holy Roman Empire until his death in 1705, becoming the longest-ruling Habsburg emperor. 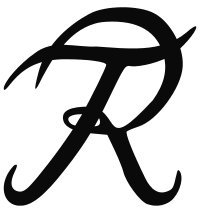 The Archduchy of Austria was a major principality of the Holy Roman Empire and the nucleus of the Habsburg Monarchy. With its capital at Vienna, the archduchy was centered at the Empire's southeastern periphery. Augustus II the Strong of the Albertine line of the House of Wettin was Elector of Saxony, Imperial Vicar and elected King of Poland and Grand Duke of Lithuania. This article discusses the organizational and administrative structure of the Polish–Lithuanian Commonwealth. The Treaty of Bromberg or Treaty of Bydgoszcz was a treaty between John II Casimir of Poland and Elector Frederick William of Brandenburg-Prussia, ratified at Bromberg (Bydgoszcz) on 6 November 1657. The treaty consisted of several agreements, including the Treaty of Wehlau signed on 19 September 1657 by the Brandenburg-Prussian and Polish-Lithuanian envoys in Wehlau. Thus, the treaty of Bromberg is sometimes referred to as treaty of Wehlau-Bromberg or Treaty of Wehlau and Bromberg. Frederick died in Berlin in 1713 and is entombed in the Berliner Dom. Louise Dorothea, born 1680, who died without issue at age 25. Frederick William I, born in 1688, who succeeded him. In 1708, he married Sophia Louise of Mecklenburg-Schwerin, who survived him but had no children by him. He also had an official mistress, Catharina von Wartenberg, between 1696 and 1711. However, he was never known to make use of her services, being deeply in love with his first wife. ↑ Nancy Mitford, "Frederick the Great" (1970) pp. 3. 1 2 3 Friedrich, Karin (2012). Brandenburg-Prussia, 1466-1806: The Rise of a Composite State . New York: Palgrave Macmillan. p. 66. ↑ Friedrich, Karin (2006). The Other Prussia: Royal Prussia, Poland and Liberty, 1589-1772 . Cambridge: Cambridge University Press. p. 163. "Frederick I. of Prussia" . Encyclopædia Britannica (11th ed.). 1911. Albert Frederick was the Duke of Prussia, from 1568 until his death. He was a son of Albert of Prussia and Anna Marie of Brunswick-Lüneburg. He was the second and last Prussian duke of the Ansbach branch of the Hohenzollern family. The Duchy of Prussia or Ducal Prussia was a duchy in the region of Prussia established as a result of secularization of the State of the Teutonic Order during the Protestant Reformation in 1525. Frederick William IV, the eldest son and successor of Frederick William III of Prussia, reigned as King of Prussia from 1840 to 1861. Also referred to as the "romanticist on the throne", he is best remembered for the many buildings he had constructed in Berlin and Potsdam, as well as for the completion of the Gothic Cologne Cathedral. In politics, he was a conservative, and in 1849 rejected the title of Emperor of the Germans offered by the Frankfurt Parliament as not the Parliament's to give. In 1857, he suffered a stroke and was left incapacitated until his death. His brother Wilhelm served as regent for the rest of his reign and then succeeded him as King. Prussia was a historically prominent German state that originated in 1525 with a duchy centred on the region of Prussia on the southeast coast of the Baltic Sea. It was de facto dissolved by an emergency decree transferring powers of the Prussian government to German Chancellor Franz von Papen in 1932 and de jure by an Allied decree in 1947. 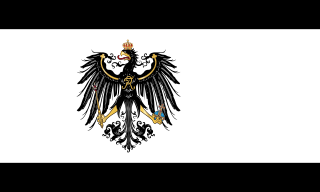 For centuries, the House of Hohenzollern ruled Prussia, successfully expanding its size by way of an unusually well-organised and effective army. Prussia, with its capital in Königsberg and from 1701 in Berlin, decisively shaped the history of Germany. The Silesian Wars were a series of three wars fought in the mid-18th century between Prussia and Austria for control of the Central European region of Silesia. The First (1740–42) and Second (1744–45) Silesian Wars formed parts of the wider War of the Austrian Succession, in which Prussia acted as one member of a coalition seeking territorial gain at Austria's expense. The Third Silesian War (1756–63) was one theatre of the global Seven Years' War, in which Austria in turn led a coalition of powers aiming to seize Prussian territory. King in Prussia was a title used by the Electors of Brandenburg from 1701 to 1772. Subsequently, they used the title King of Prussia. The state of Prussia developed from the State of the Teutonic Order. The original flag of the Teutonic Knights had been a black cross on a white flag. 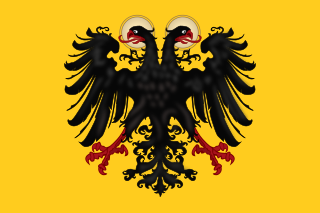 Emperor Frederick II in 1229 granted them the right to use the black Eagle of the Holy Roman Empire. This "Prussian Eagle" remained the coats of arms of the successive Prussian states until 1947. The First Silesian War was a conflict between Prussia and Austria lasting from 1740 to 1742, which resulted in Prussia's seizure of most of the region of Silesia from Austria. The war was fought mainly in Silesia, Moravia and Bohemia and formed one theatre of the wider War of the Austrian Succession. It was the first in a series of three Silesian Wars fought between Frederick the Great's Prussia and Maria Theresa's Austria in the mid 1700s, all three of which ended in Prussian control of Silesia. Austria and Prussia had a long-standing conflict and rivalry for supremacy in Central Europe during the 18th and 19th centuries, termed Deutscher Dualismus in the German language area. While the rivalry had a military dimension, it was also a race for prestige, and a contest to be seen as the leading political force of the German-speaking peoples. 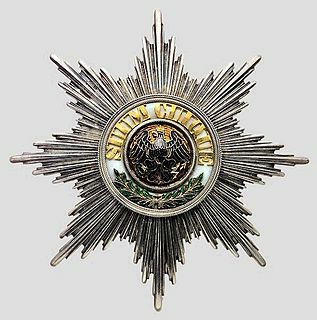 The German Emperors after 1873 had a variety of titles and coats of arms, which in various compositions became the officially used titles and coats of arms. The title and coat of arms were last fixed in 1873, but the titles did not necessarily mean that the area was really dominated, and sometimes even several princes bore the same title.